The family of an 8-year-old transgender student has filed a discrimination lawsuit against an Orange County private school. YORBA LINDA, Calif. -- The family of an 8-year-old transgender student has filed a discrimination lawsuit against an Orange County private school. The lawsuit was filed Thursday in Orange County Superior Court by parents Priya Shah and Jaspret Brar against Heritage Oak Private Education and the school's parent company, Nobel Learning Communities, Inc. The suit alleges that Heritage Oak, which is located in Yorba Linda, refused to call their daughter Nikki Brar by her name. Nicole (Nikki) Brar (second from left), her sister and her parents are seen in a family photo. The suit also claims the school insisted that Nikki wear a boy's uniform and use the boy's bathroom. It also states that the school barred teachers from protecting her from bullying and harassment. "When adults at a school think that they can dictate the name that a child goes by and demand she wear a boy's uniform when she knows she's a girl, that's wrong. And that's what happened at Heritage Oak. 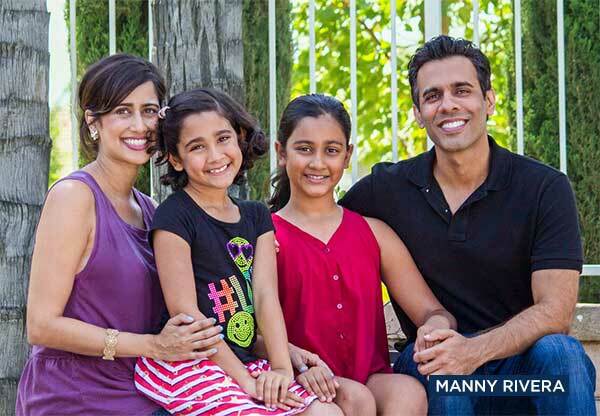 As a society, we can't accept such discrimination from any quarter - least of all from a school seeking to deny the identity of one of its students," Mark Rosenbaum, the lead attorney for the Shah Brar family, said in a news release from the law firm Public Counsel. According to Public Counsel attorney Kathryn Eidmann, Heritage Oak is a for-profit, non-religious school. "That means that it's a business institution and is treated like any other business institution in California and California does not tolerate discrimination on the basis of race, religion or gender identity by any business institution." The school said it told the family it had decided to use an outside consultant to assist them and discussed accommodations, "such as use of the single-unit staff bathroom, specific options as to girl's uniform clothing and girl's hairstyle, as well as ceasing to use gender groupings in physical education activities." The family eventually pulled Nikki out of the school. According to the statement released by the family's attorneys, Shah and Brar repeatedly tried to work with the school to improve conditions for their daughter, but they "saw their attempts rebuffed time and again." Shah and Brar said they want the school to add a written policy of non-discrimination against transgender students, and they would also like to see the school add a discussion about transgender identity into the school's curriculum.